Bulawayo, Zimbabwe, Nov 20 2015 (IPS) - Aflatoxin contamination is a growing threat to trade, food and health security in sub-Saharan Africa, where smallholder farmers are challenged by food production and now climate change, researchers said. Aflatoxins are toxic and cancer causing poisons produced by certain green mould fungus that naturally occurs in the soil. The poisons have become a serious contaminant of staple foods in sub-Saharan Africa including maize, cassava, sorghum, yam, rice, groundnut and cashews. The International Institute of Tropical Agriculture (IITA), an international not for profit organisation based in Nigeria has led pioneering research in reducing mycotoxin contamination in Africa through rolling out innovative approaches. According to IITA researchers, exposure to mycotoxins is an important constraint to improving the health and well-being of people in Africa where high levels of aflatoxin contamination have been confirmed. Many smallholder farmers fail to prevent contamination during production and storage of their crops because they lack cost-effective ways to determine the poisons. Sub-Saharan Africa is annually losing more than 450 million dollars in trade revenue of major staples, particularly maize, and groundnuts as a result of contamination from aflatoxins, researchers told IPS. The health bill as a result of people unknowingly eating contaminated food runs into millions of dollars in a region with over burdened health facilities. Africa is at risk of toxins which are linked to suppressed immunity, liver cancer in humans and stunting in children. UNICEF says 40 per cent of children in sub-Saharan Africa are stunted or have low height for their age which can be associated with impaired brain development. Researchers say high temperatures and drought conditions favour the growth of fungus, while poor farming practises and food insecurity status of many people in sub-Saharan Africa increase their exposure to aflatoxin contamination. In addition high soil moisture content at harvest attributed to off-season rains as a result of climate variability increases contamination. In 2009, the IITA, the African Agriculture Technology Foundation (AATF), United States Department of Agriculture –Agriculture Research Service (USDA-ARS) and other partners developed an indigenous biological control technology, named AflaSafe to mitigate aflatoxin contamination in maize and groundnuts. Aflasafe is a mixture of four non-aflatoxin producing strains of the green mould fungus (Aspergilllus flavus) of native origin. The formulated Aflasafe product is then broadcast in the field where it grows and prevents the toxin producing strains from colonizing, multiplying and contaminating crops. Focused aflatoxin biocontrol research in Africa first started in Nigeria where Aflasafe is today a fully registered commercial product. Country specific products have been developed and introduced in Kenya, Burkina Faso, Senegal, The Gambia and Zambia. In all the six countries where the bio control products have been tested since 2008 to date, IITA said farmers have consistently achieved up to 99 per cent reduction in aflatoxin contamination by using Aflasafe in maize and groundnut fields. Globally aflatoxins are a known threat that have been reduced thanks to investment in food safely controls. Smallholder farmers in Africa rely on a combination of traditional storage methods and use of pesticides to prevent weevils. However, these methods are not always pest proof leading to them losing a bulk of the stored crop by the time they need it most. Other innovative approaches are being tried in Africa to curbing pre and post harvest losses in addition to eliminating aflatoxin contamination using Aflasafe. 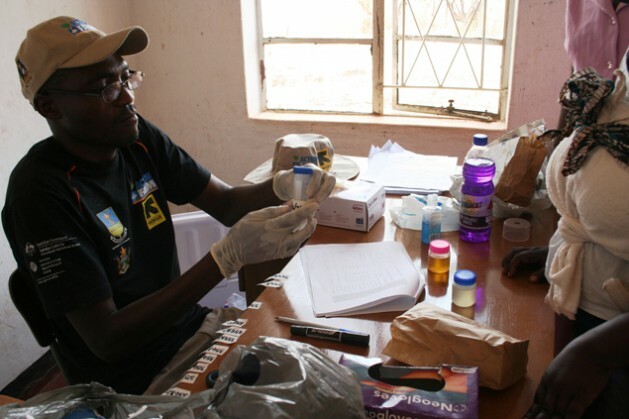 In Zimbabwe, researchers at the University of Zimbabwe and Action Contre la Faim are working with communities in two districts to investigate whether improved storage can reduce aflatoxin contamination in local maize grain. The two-year research, supported by the Cultivate Africa’s Future (CultiAF) programme, an initiative funded by Canada’s International Development Research Centre (IRDC) and the Australian Centre for International Agriculture Research, will also assess levels of exposure suffered by women and infants. The project has introduced a metal silos and thick plastic “super bags,” allowing maize to be stored in air-tight conditions. Farmers in sub-Saharan Africa are challenged by lack of drying equipment, with most maize and groundnut farmers keeping their crops in fields to dry out before harvest. Sometimes, they store it before it has dried properly, making it vulnerable to aflatoxin attack. Exports of agricultural commodities particularly peanuts from Africa have declined by as much as 20 per cent over the past two decades. The commodities have been rejected after failing to meet the European Union’s market regulations on aflatoxin levels in foods for human consumption, a serious hurdle to international trade. According to the United Nations Food and Agriculture Organisation, only 15 African countries had regulatory limits for aflatoxins by 2013. In Zambia, for example, nearly 100 per cent of the peanut butter brands sampled between 2012 and 2014 from supermarkets and local markets were found to contain unsafe levels of aflatoxins above 20ppb. Less than 30 per cent of milled groundnut flour collected from markets and homesteads had levels within the 4 ppb set by the EU as safe limits. While in Kenya, considered the number one aflatoxin hotspot in East Africa, nearly 200 died due to acute aflatoxicosis after eating aflatoxin contaminated maize between 2004 and 2006. About 2 million maize bags were found unfit for human consumption due to high levels of aflatoxins in 2010. IITA’s programme manager for Aflasafe in Malawi, Dr. Joseph Atehnkeng, said between 40 and 100 per cent of groundnut based-commodities in Malawi, were found to contain unsafe toxin levels. Former net groundnut exporters; Mozambique, Senegal, The Gambia, Zambia and Malawi have lost lucrative markers in the EU, the United States and South Africa because of high aflatoxin levels in their commodities, says IITA scientist and plant pathologist, Dr. Joao Augusto. Mozambique has since the late 70s, recorded a high prevalence of liver cancer in the southern part of the country which has been associated with consumption of aflatoxin contaminated food, especially groundnuts. According to the Partnership for Aflatoxin Control (PACA), a regional project formed in 2009 to minimise and ultimately eradicate aflatoxins using proven and innovative strategies, there is a need for effective aflatoxin regulation policies and country-specific standards. Researcher, Chapwa Kasoma from Zambia, warns that left unchecked, aflatoxin contamination could retard development in sub-Saharan Africa.